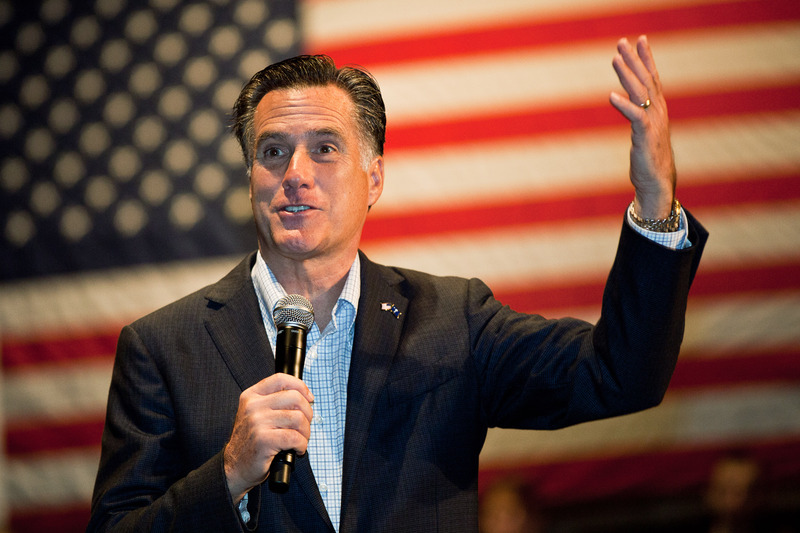 In yet another move that just makes us think, "Oh, Mitt," former governor of Massachusetts Mitt Romney has made a bid not for the presidency, but for online celebrity. It appears Romney has hitched a ride on the hip train and made an account with what people are calling the app of the 2016 election. That's right — Mitt Romney just joined Meerkat, the live streaming app that's revolutionizing the way politicians communicate with the people. On Wednesday, people who had an account on Meerkat and followed @mittromney on Twitter received a notification on Meerkat: "@mittromney just joined Meerkat." Dan Pfeiffer, former advisor to President Obama, wrote a piece for Medium last week in which he predicted that the app, which many politicians around the world already use to live stream events and announcements, would shape the 2016 Presidential election. And even though Pfeiffer admits that "no one seems to know how to use the thing yet," Romney is ahead of the rest of the technophobes — by joining Meerkat before his role in the 2016 election is even clear, he has jumped on the bandwagon for a PR strategy that is sure to blossom quickly, and soon. Obviously he intends on speaking out on issues that are important to him, and hopefully he'll use Meerkat and other forms of social media to highlight the issues he cares about the most. In what is quickly becoming a viral quote, Romney told Mashable, "I'm just another old guy trying to keep up with the stuff the kids are doing." Well, it's definitely what the grown adults in politics are doing — Jeb Bush and Rand Paul also have Meerkat accounts — but is it really what the kids are doing? Some Twitter users said Romney's new membership meant the app would lose its relevance to young people. We want to make sure the core experience is the best we can make it for everyone. It's going to be a product for the people, whether you have 40 Twitter followers or 18 million followers. It's probably good not to limit your options when a business is that young — can you imagine a 30-day-old baby making decisions like that? — but Meerkat might want to define their audience a little more clearly if they want to push past Twitter's restrictions on the app. But despite all that, the creators of the app are doing well so far — after Twitter restricted them, they gained 30 percent more users, ostensibly from the publicity. And now they've got Romney on their side. Stay tuned!